For many of us, choosing a residential care facility for our loved ones is a major decision to make. 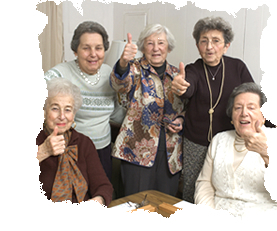 If you are looking for a comfortable, safe and caring home for your parents, grandparents, a dear friend or yourself, Abundant Life Elderly Care, Inc. is the one for you. Our commitment is to provide our residents a home where they can continue to lead a happy and fulfilling life. At Abundant Life Elderly Care, Inc., our seniors enjoy a warm and secure environment with our fine residential care amenities and services. Our caregivers ensure that our residents get professional care and assistance in their daily living activities while taking care that they are treated with respect, dignity and loving support. We also feature a variety of recreational activities to keep a fun and exciting atmosphere for our residents as well as their families. Residents at home. At Abundant Life Elderly Care, we keep that homelike feeling at our facility. We understand and acknowledge the positive effect a warm environment can bring to our elderly. Therefore, to stay close to home, we've added family-style home cooked meals and other fun activities to our services. Operated by both certified nursing assistants, you can ensure that your elderly is in good hands. Their experiences combined with genuine care guarantees that our residents' health and wellness are in check. Here's a little background information about the people you're leaving your family member with. We would love to hear from you. Come and visit us by calling 425-641-5036. You may also set an appointment with us online - click here.